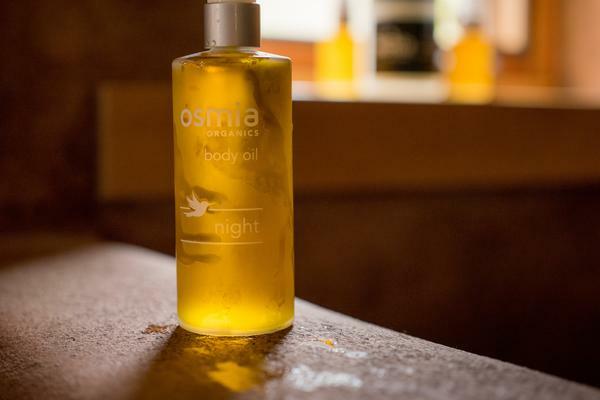 Osmia is one of the rare skin care lines that makes you more feel connected – to the earth, the ingredients, and to the maker who dreams up the formulas – just by using the products. Each use is a multi-sensory experience that invites you to turn off the chaos and just indulge, even if just for a minute. These are not products that can be rushed through. It’s just not possible. And we LOVE that. Osmia, as used here, means “sense of smell”. (It’s derived from the medical word “anosmia”, which is the inability to smell.) Every Osmia product is made with utmost attention to the scent and its aromatherapeutic benefits. 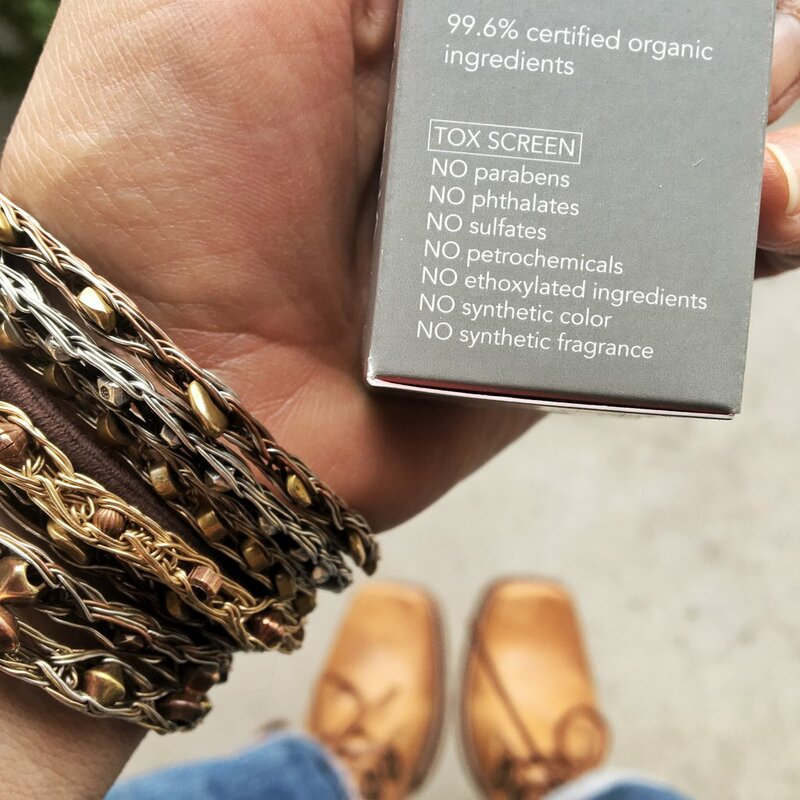 Founder, Dr. Sarah Villafranco has created a truly special brand, one that we were honored to partner with for our October Clean Beauty Box, BEAUTY FOOD. We had the pleasuring of chatting with Sarah about her journey from the ER to soap-making, how she creates daily inspiration, and her mission to change the world. 1. 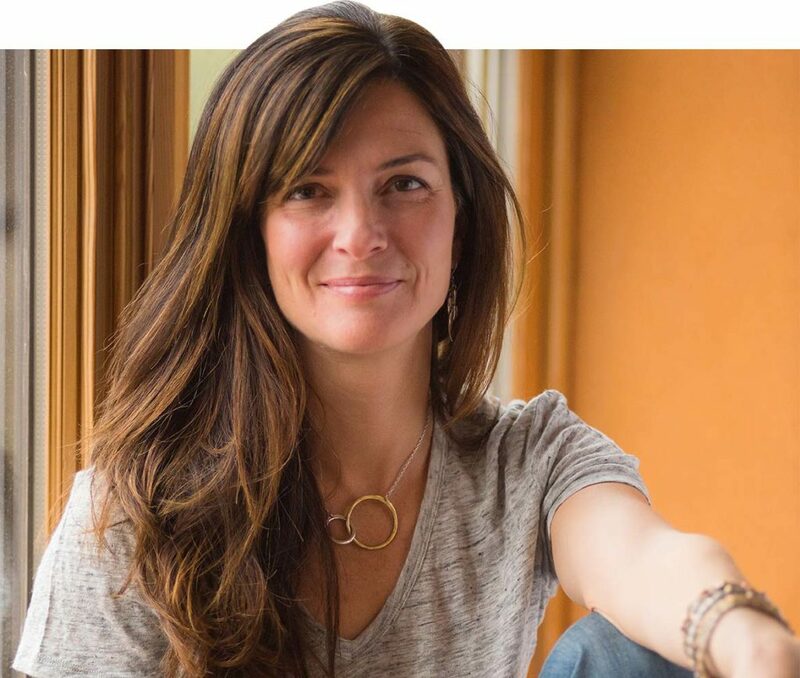 You were an ER doctor before creating Osmia Organics. Can you tell us about that transition and what inspired you to make this sizable shift? After ten years of practicing emergency medicine, I felt frustrated that I was putting out fires instead of lighting them. Rather than trying to squeeze healthy-living inspiration into a 15-minute ER visit for a sprained ankle, I wanted to get inside people’s heads in a positive way and empower them to contribute to their own health. That’s tough to do in the ER setting. I loved the work, but it wasn’t enough for me. After having a second daughter and losing my mom to cancer, I started percolating about how to make a change. 2. You have 2 young daughters, did their relationship with makeup/beauty products have any impact on your decision to use clean ingredients? That only addresses the health aspect of beauty. What really inspires me is when my 13 year- old says “Mom, I don’t really feel like wearing makeup yet because I think I’m perfectly beautiful without it.” I’d love to hear that sentence from every woman and girl I know! 3. Where do you find inspiration for your products? Do you find yourself drawn to specific ingredients? 4. What is your most beloved product by you/your customers? The Black Clay Facial Soap is our best selling product, and has helped so many people, myself included, get back to healthy skin. The combination of minerals in the black clay and the Dead Sea mud is very healing to flaky, irritated skin, and helps people with all sorts of conditions, from acne to dermatitis. Plus, it lasts an alarmingly long time for such a small bar! 5. What makes you most excited about clean beauty and this industry? I get excited at the prospect of making meaningful change for our customers and for the health of the planet. I know we are only one brand, but we are part of a rising tide of beautiful, conscious brands, many of whom I am honored to count as dear friends. Awareness about how skin care products affect health and the environment is slowly awakening, and I am so glad that Osmia is here, ready and eager to help people make the transition. I have a team of incredible women working with me, and I can’t wait to see how we will grow Osmia and contribute to the clean beauty revolution! 6. What does your personal beauty routine look like? Do you have a “desert island” product you could never live without? My “beauty routine” is ridiculously simple. I usually shower at night, washing with one of our delicious body soaps and the Black Clay Facial Soap (definitely my desert island buddy). I use a mask, either our Detox Exfoliating Mask or the Adzuki Nourishing Mask, about once a week. I moisturize with Purely Simple + Nectar Vital Rose Drops (second desert island product), and apply Lip Doctor (ugh – third desert island product!). 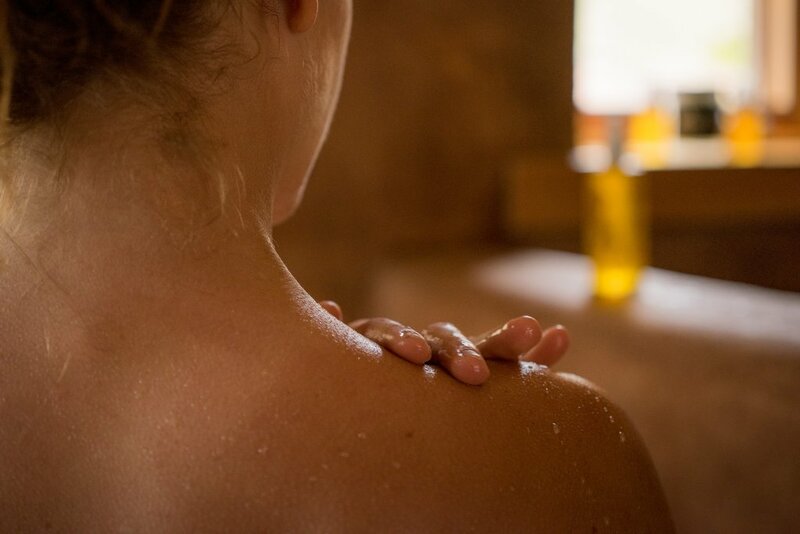 I slather one of our body oils on wet skin right out of the shower every day, and give a little extra love to my elbows, knees, and feet with one of our Body Mousse products (currently mixing lavender and sandalwood – yum). For hair care, I use Josh Rosebrook shampoo and conditioner, and a combination of Inner Sense Beauty Curl Control and GM Reverie’s Ever Oil for styling. Oh, and by “styling”, I mean that I put the stuff in my hair before I sleep on it wet, wake up, gasp in the mirror at how huge and bouncy my hair is, and then act like I intentionally styled it that way.. When I wear makeup, which is about 10 times a year, I use Alima Pure loose powder and eyeshadows, and W3LL PEOPLE mascara and lip gloss. 7. What makes you feel beautiful? 8. We’re in awe of your incredibly active lifestyle (and your abs!) It seems you’re always on the move and you make living a healthy lifestyle look effortless. How do you create the difficult balance between work and play as an entrepreneur? Ha! It’s not effortless at all! But it’s a worthy investment of time and energy. Abs aside (check my Insta feed for my favorite core moves), I do it because it makes the rest of my life manageable. The endorphins support my mood and energy levels in ways nothing else can, and the time spent outdoors puts stress in perspective. When I’m running in mountains that have been here for thousands of years, or along the East River in Manhattan amidst an incredible cross-section of human existence, it makes whatever I’m worrying about fit into a smaller space in my brain. 9. Do you have any advice for aspiring female entrepreneurs? Support your fellow female entrepreneurs. Being competitive, snarky, and insecure will do nothing to grow your business. Pour positive energy into your own work, and support other who are trying to do the same. 10. Can you share any hints or sneak peaks of things you are working on for future release? We have lots of new packaging rolling out at the moment, and it feels great to see our products presenting themselves in a way that reflects the quality of the ingredients we use. As for the future, I am working on revamping our perfume line, and I’m so excited about it. Natural perfumery is one of my deepest passions, and I’m finally at a point where I can bring some attention back to it. I love our current offerings, but it’s time to expand and elevate the selection. I can’t wait! I love Sarah’s holistic vision of beauty and approach to oneness (“…it makes whatever I’m worrying about fit into a smaller space in my brain”). I recently converted to/became obsessed with Osmia after a Citrine event, and it makes me wan to support the brand even more to know they’re in it for all the right reasons. And by the way, perfume? Yes, please – I can’t wait!